In a single instant, Goku made his stand, and Frieza realized he was in for some trouble. 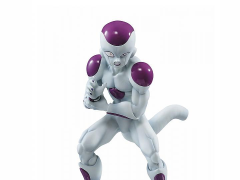 "How... how did you get this incredible power?" said the tyrant trembling with fear. 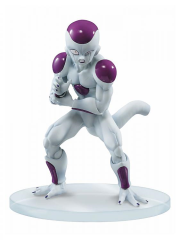 In this second figure of a new Dramatic Showcase collection, Frieza is shown holding his wrist as he begins to understand that the legend of the Super Saiyan is true.